M2TS is a filename extension used for the Blu-ray Disc Audio-Video (BDAV) MPEG-2 Transport Stream (M2TS) container file format. When people copy Blu-ray disc to protect the disc from over-time use, they would get M2TS file. In addition, your HD camcorder shootings will also come to video files with .mts or .m2ts extension. M2TS is not a friendly format cause many of your devices can’t play it that’s why lots of people want to convert M2TS to MKV. How To Convert M2TS to MKV Using MKVtoolNIX on Linux? MKVToolNix is a small collection of tools (mkvmerge, mkvinfo, mkvextract, mkvpropedit and mmg) that allows you to manipulate Matroska (MKV) files in several ways. 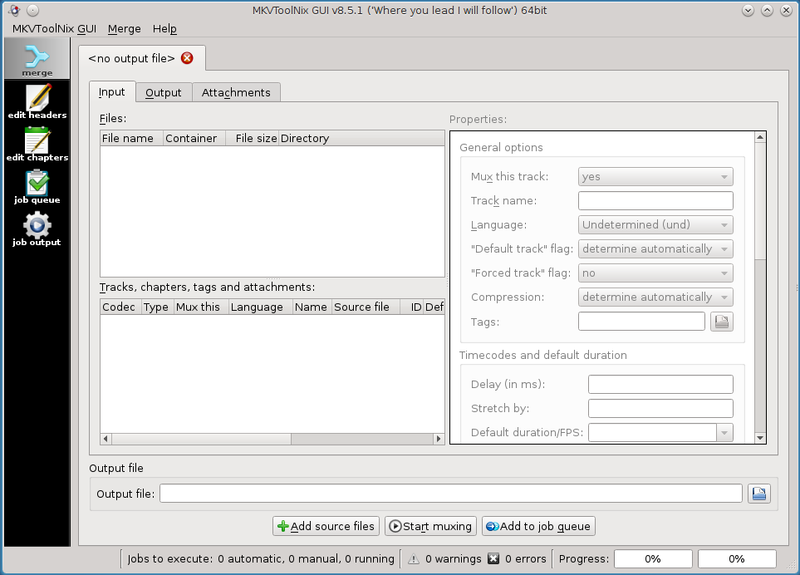 You can use MKVToolNix to create, split, edit, mux, demux, merge, extract or inspect Matroska files. The program will also be able to convert M2TS to MKV. Now, let’s see the steps. Note: All of the steps we will be doing will be done on Linux running Fedora 21. First we will need to install mkvmerge which is part of MKVToolNix, which we will be installing from the developer as the Fedora packages install the command line tool and not the GUI and also we will get the latest releases when running updates. The conversion is now complete and you can play the resulting file. 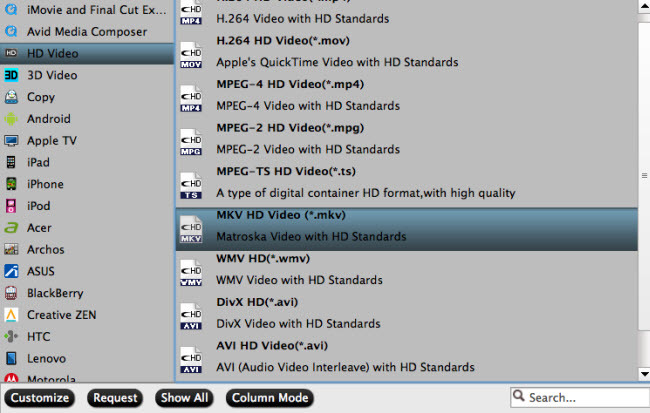 There are a few other steps to do to edit the metadata for the mkv file like a title if you would like. You can accomplish this using mkvtoolnixgui or from a tool installed with the mkvtoolnixgui install called mkvpropedit. So let’s add a title to the converted mkv file we just created. This is accomplished with mkvpropedit. Pretty simple, but this is not all mkvpropedit is capable of changing and there are also a plethora of tools and options contained in the MKVToolNIX package. 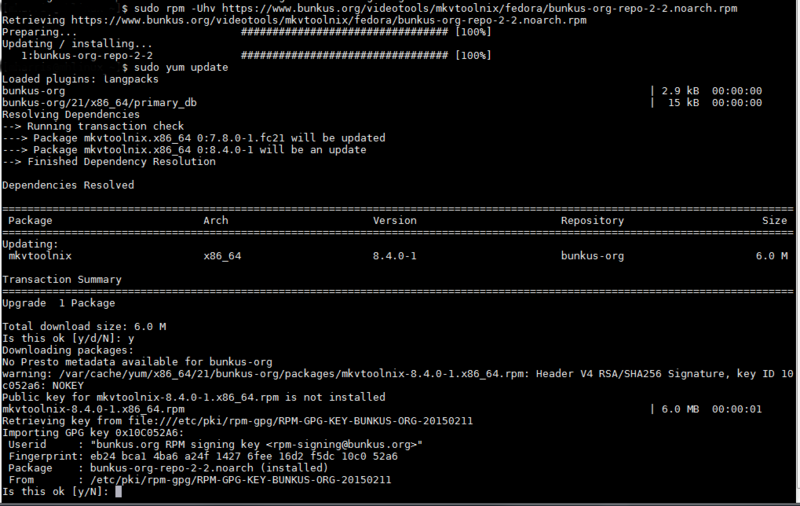 If you have used the bunkus repository to install MKVToolNix you will have the GUI in your menu and you will have other options available for configuration during your conversion. Start the MKVToolNixGUI from you menu. If you are using KDE the shortcut will be under Multimedia. Once started you will be greeted by the clean interface. Click on Add Source files and browse to the m2ts file you want to convert and load it. Next click on the folder icon in the output file and select a destination and a file name to use for the conversion. Click OK to accept the and you will be sent back to the previous screen. At this point you are ready to make the conversion. Click on Start muxing and you are off to the races. Once done you can changes to the title as you did from the command line in the GUI. How To Convert M2TS to MKV with Pavtube Video Converter Ultimate on Windows? Pavtube Video Converter Ultimate is the best Windows video transcoder, which is fully compatible with Windows 10, Windows 8, Windows 7, etc. It can convert Blu-ray M2TS, HD camcorder M2TS files to 2160p/1080p/720p MKV, H.265/H.264 MKV and 3D SBS/TAB/Anaglyph MKV. Besides, it also can convert other video such as MP4, WMV, Blu-ray, DVD, ISO, VOB, TS, VRO, etc to MKV files and convert M2TS to MP4, AVI, 3GP, WMV and other format video. It can shrink 50 GB video to 10 GB while keeping best quality. Launch the program and add the movie you want to encode by clicking the “Files” icon or just drag and drop M2TS files onto the main interface. You can see the chapter information of your M2TS file. This software supports batch conversion so you can add multiple M2TS files to batch convert to MKV. Click "Format" to open the drop-down list. Choose “MKV HD Video(*.mkv)” from “HD Video” catelog. From the below picture, you can see that Pavtube Video Converter Ultimate gives you many choices so that you also can convert M2TS to MP4, MOV, etc format or convert M2TS to iPad, iPhone, Samsung, etc. You also can convert 3D M2TS to 3D MP4/MKV. 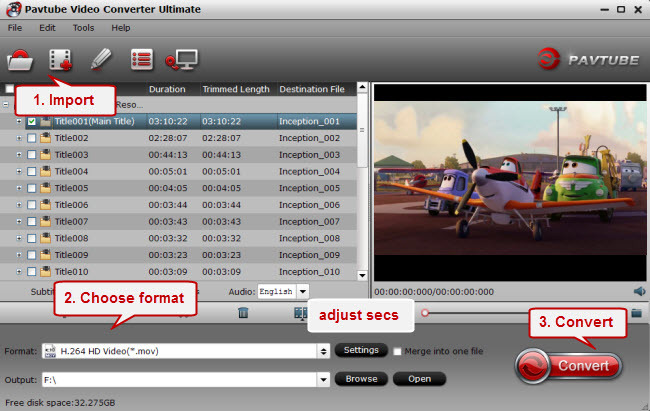 The last thing you need to do is hit the “Convert” button to copy M2TS to MKV format. Just wait a moment and then you can output videos. Then you can stream the MKV files on Kodi, Roku 4, etc. How To Convert M2TS to MKV with Pavtube iMedia Converter for Mac on Mac? Step 1: Download Pavtube iMedia Converter for Mac to convert M2TS files to MKV on Mac OS X 10.12 macOS Sierra, 10.11 El Capitan, etc. Step 1. Load M2TS files for conversion. 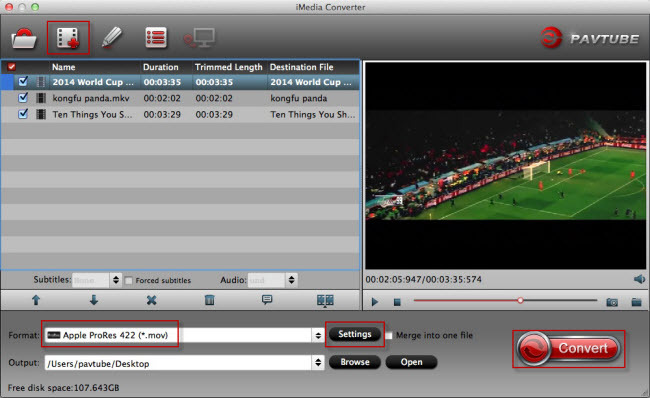 Run the MTS/ M2TS Video Converter, click “Add Video” button and browse to the M2TS files you’d like to convert. When the M2TS files are loaded to the program, you can view the videos from the Preview window. Simply select an item and click the “Play” button. When the video is playing, you may take snapshoot when it plays to your favorable frame by clicking the “Snapshoot” button. Step 2. Select MKV as output format. The Pavtube MTS/ M2TS Converter is capable of converting unprotected MTS, M2TS, M2T files to MKV, MP4, MOV, M4V, AVI and various other optimized formats for portable devices. Since we are trans-coding M2TS video to MKV, what you need is to click on the “Format” bar and select desired MKV format from the profile list. 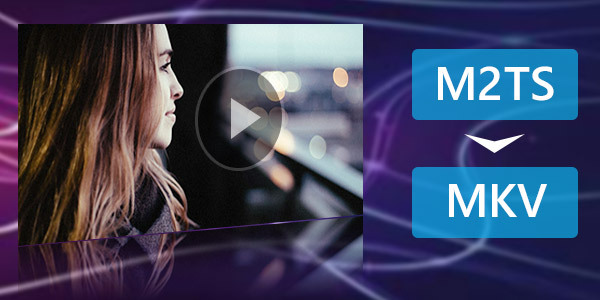 M2TS is a typical HD video format with very high video and audio quality. Meanwhile it takes up much more space than other video formats. In order to save storage, you could follow “Common Video”-> “MKV Matroska Video” (*.mkv). If you are unwilling to degrade the HD M2TS video quality, “HD Video”-> “MKV HD Video” (*.mkv) is a better choice for you. You may also customize video and audio parameters in Settings panel. Simply click “Settings” button to and set the bitrate, frame rate, channels, sampling rate as desired values. Step 3. Convert M2TS files to MKV/ HD MKV. Click “Browse” button and specify an output folder to save converted files. Click “Convert” to start converting M2TS to MKV format when everything’s ready. The Mac M2TS to MKV Converter supports batch conversion so you may load multiple M2TS and MTS files and convert them to MKV at one time. You may also merge them to one file by checking the box “Merge into one file” before conversion starts. After conversion you may click “Open” button to find generated MKV files. 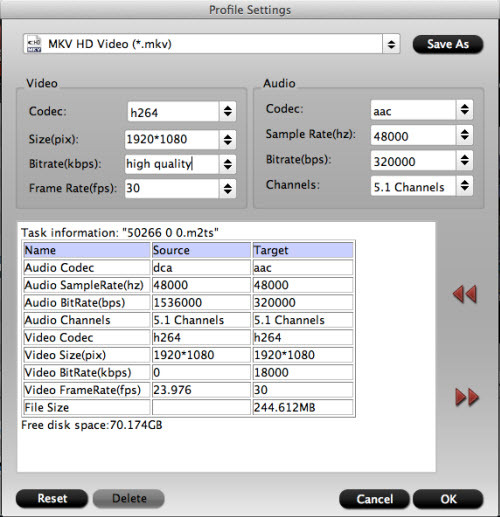 You can choose the way and the software to transcode M2TS to MKV according to your computer operating system. "I’ve had a brief search here but couldn’t find exactly what I need. What I need to do is convert .m2ts files into MKV so essentially convert and store a 40gb movie into something like 15gb file. But I wish to keep the lossless soundtrack and subtitles." "Hey guys I tried searching this but It brought up all kinds of threads, and I’m not sure where to post. Could someone please give me a good program to convert M2TS to MKV? I use Mkvmerge 2.9.8 and Handbrake for my normal encoding stuff. I tried messing around with M2TS awhile ago with no luck. Hoping someone could help me out here, or point me in the right direction." "How which simple free tool to change container from m2ts to mkv ?" "I have some m2ts files I’d like to compress myself into mkv, but I want to maintain a decent quality. What settings in Handbrake should I use? Or should I be using a different software tool?" "Is there any application(windows) that batch muxes m2ts files to mkvs with/without encoding??"